Are deforestation and global climate change responsible for the Zika crisis sweeping across equatorial countries in the Western Hemisphere? Are spikes in microcephaly and Guillain-Barre caused by the mosquito-born Zika virus, the insecticide pyriproxyfen or a combination of factors? Forests are complex ecosystems that have evolved over millions of years. Mosquito-borne viruses are kept in check by the diversity of forest species. Although the forest can harbor many infections, it is hard for mosquito-borne viruses to find a large number of hosts and multiply. Deforestation rips out the forest, replacing it with cities and monocultures, which are ripe with hosts for mosquito-borne viruses. In these “wastelands,” mosquitoes can reproduce rapidly, says Wallace. Pools of water allow females to deposit their eggs and produce billions of offspring. A virus is a protein shell surrounding RNA. When allowed to proliferate, viruses evolve quickly because they multiply rapidly and because RNA is unstable, they mutate easily. Scientists don’t know how they evolve, which makes developing vaccines difficult. Many mosquitoes live in warm climates near the equator, but as warmer weather increases toward the poles, so do habitats in which pathogen-carrying mosquitoes can thrive. Infectious pathogens have existed for thousands of years, but have become a critical problem with global climate change. Zika mutated quickly when it left the forest and island-hopped around the Equator. Today’s Zika virus stems from a relative that infected Polynesia two years ago. The World Health Organization predicts there will be 4 million cases of Zika in the Americas by the end of 2016. Hit hardest are people living in Brazil, the epicenter, and the surrounding countries with high poverty and unemployment rates. People can’t afford preventative measures like air conditioning, window screens and insect repellants. Some 85 percent of Haitians can’t afford electricity. Insecticides are controversial in both their possible harmful effects on humans and their ability to wipe out insects that quickly develop resistance to the poisons. Conservatives and some health officials propose using DDT to control Zika. The U.S. government banned DDT in 1972 because it was harmful to ­animals and humans. Health officials in several countries are asking women to delay having babies because of the suspected link between Zika-infected pregnant women and the spike in infants born with microcephaly. Yet contraceptives and abortions are expensive and hard to access in these mostly Catholic countries. Abortions are tightly restricted; women can be imprisoned for having them. On Feb. 18 the Pope conceded to temporary contraception use, as “the lesser of two evils,” but repudiated abortion. Previously, the church only condoned the often unreliable “rhythm method” of contraception. If Zika can spread through sexual activity, the rhythm method is useless. Zika has also been linked to Guillain-Barre, a rare disorder in which the immune system attacks nerve cells. It can develop into complete paralysis and lead to death. Twice the usual number of cases have been reported in Colombia since the Zika outbreak there. Brazil, El Salvador and Venezuela have seen similar spikes, which also happened in Polynesia. 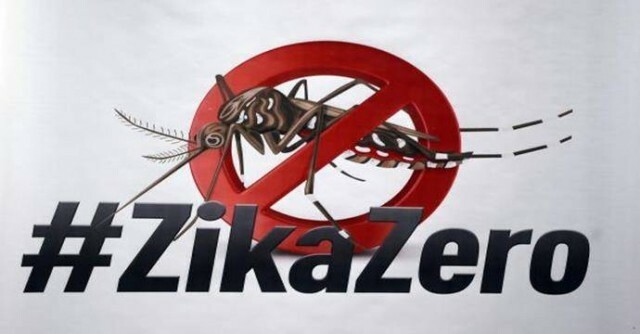 Socialist Cuba, renowned for its public health programs, has prevented a Zika outbreak by monitoring fevers and carrying out an aggressive campaign against Aedes aegypti, the Zika-carrying mosquito. Nonbiodegradable containers, used tires and plastic bags that collect water make ideal habitats for mosquitoes to lay their eggs. One of the first countries to develop biotechnology companies, Cuba now exports biotech and medical products and vaccines to five continents. Cuban infants are immunized against 13 diseases using mostly Cuban-made vaccines. They have eliminated mother-to-child transmission of HIV-AIDS and syphilis and paved the way for generations to live free from those diseases. “Cuba is famously proactive when it comes to fighting tropical diseases — acquiring experience that will be useful now that the whole world is turning into the tropics,” wrote the Feb. 2 Nation magazine. Last year, El Salvador suffered 50,000 cases of dengue and the Dominican Republic had 17,000 with 103 fatalities. But Cuba had 1,641 cases and no deaths. This shows what’s possible in a socialist country.